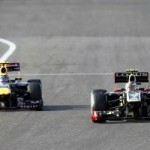 Lotus Renault GP struggled last time out in Singapore, but are looking forward to Japan. It’s a favourite of Bruno Senna, and the scene of some of his famous uncles greatest highs and lows. BS: You’re right, it’s one of my favourites! The blend of high speed and mid speed corners makes it a very stimulating track. It’s one of the classics that has changed very little since the start. I’m really looking forward to driving there, and I’m confident that I can put my name back on the points board for the team. 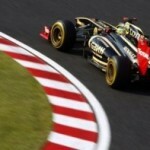 This entry was posted in Lotus F1 Team and tagged Bruno Senna, Lotus Renault GP, LRGP, Suzuka. Bookmark the permalink.